Burnley's three match unbeaten run came to an end with a disappointing second half display, Manchester City securing a comprehensive 5-0 win and showing the quality that allowed them to stroll to the Premier League title last season. Manchester City as expected started well and monopolised possession for most of the contest at the Etihad Stadium. The hosts eventually took the lead after seventeen minutes, with Sergio Aguero, who has now scored seven goals in seven games against The Clarets, finishing off a typically well constructed passing move from the hosts. However, despite falling behind, Sean Dyche, who recalled Jeff Hendrick and gave a first league start of the season to Steven Defour, will be pleased with some of Burnley's defending in the opening half. 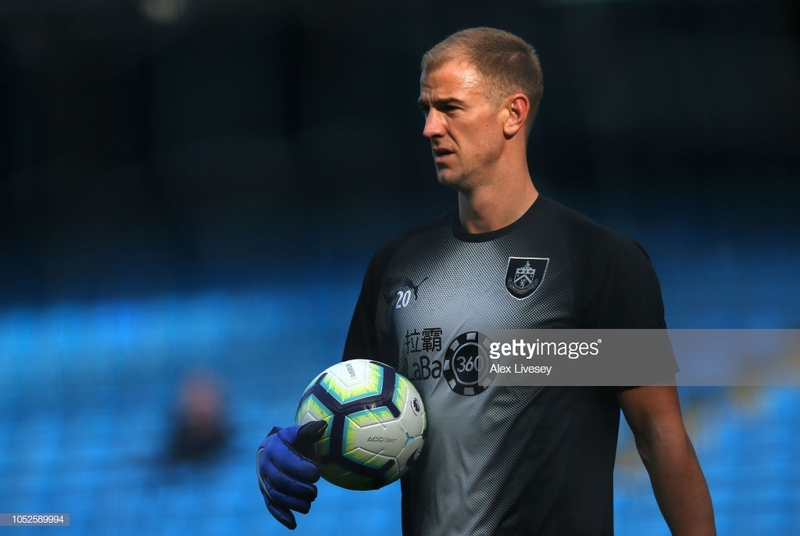 A combination of some excellent blocks from The Clarets' defence and two fine saves from Joe Hart kept Burnley in the game in the opening period. Hart, who was honored by his former club before the match as City declared a pitch at their training ground would be named after him, impressed throughout on his return despite conceding five goals. Stand out saves to deny both David Silva and Aguero in the first half highlighted Hart's importance to his new side as he frustrated his former employers. Burnley went into the break still in the match at just 1-0 down, but nine minutes into the second period conceded a controversial goal which affected their defending and performance for the remainder of the contest. Leroy Sane went down under the challenge of Jack Cork, with referee John Moss playing on as Burnley's defence stopped. That allowed Silva to retrieve the ball, which was controversially adjudged to have just stayed in play, and cross for namesake Bernardo Silva to finish. Just two minutes later, with Dyche's side still contemplating the controversies of the second goal, City added a third after some poor defending from a corner allowed the ball to fall to Fernadinho, who produced a fine strike from the edge of the area to beat Hart. Pep Guardiola's side cruised through the final half an hour and added two further goals, as Burnley struggled to find any sort of route back into the game. Riyad Mahrez curled in a brilliant fourth goal with seven minutes remaining before Sane finished from Benjamin Mendy's cross. Burnley unsurprisingly struggled to create many opportunities throughout failing to register a shot on target, with their main focus on restricting their hosts, and although at times they defended well mainly in the first half The Clarets were comfortably beaten. Dyche will be looking for his side to regroup and bounce back ahead of another difficult game at home to Chelsea a week on Sunday.